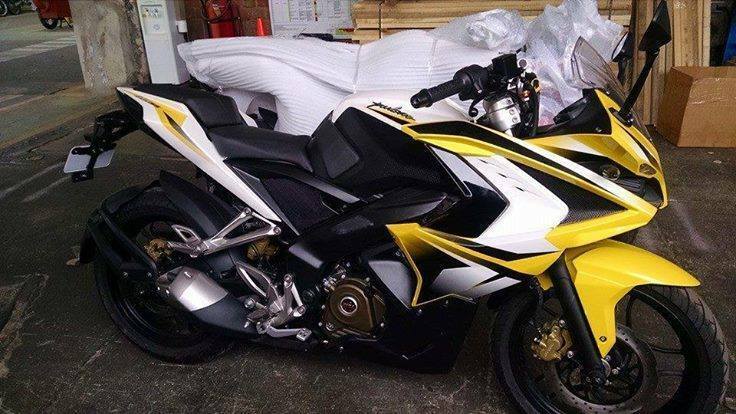 Bajaj Pulsar 200 SS price to be cheaper than Yamaha R15? To make the right guess of price of Bajaj Pulsar 200 SS we can have look into zauba.com ( which keeps track of India’s import and export data ) . Let us take the Zauba approach and estimate the price. When we have a look at the exported unit value of Pulsar 200 SS which was sent to countries like Turkey, Indonesia, Japan and Thailand, the price is around 88,523 INR in CKD format. The newly launched Yamaha R15 V2.0 has always been a strong rival for Bajaj’s 200 cc segment. With Yamaha R15 version 2.0 introducing new exciting colors like GP Blue and Streaking Cyan, there is a need for Bajaj to price Pulsar 200 SS competitively with Yamaha R15. When we take into account that the cost of Bajaj Pulsar 200 NS in India is around Rs 91,000 today, we can easily guess that the price of Bajaj Pulsar 200 SS could be under Rs 1.1 lakhs. This means, it will be cheaper than Yamaha R15 by about Rs 10k.